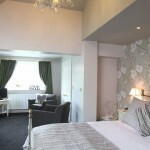 One of our deluxe double rooms. We would love to talk to you and help arrange a visit but if you prefer the ‘DIY’ approach, we have our own on line booking system allowing you to book a room after reviewing our availability. Please note; we only accept one night bookings by prior arrangement and this will usually be only if we have them available for one night only. N.B. Over Bank Holiday weekends we ask a minimum of a 3 night booking unless rooms are only available for 2 nights. Please call if you are unsure. If you would prefer to book a room in person, please feel free to give Bob or Sheila a call on 01729 830301 or 07584 239223 or email us, we’ll get back to you as soon as we can. 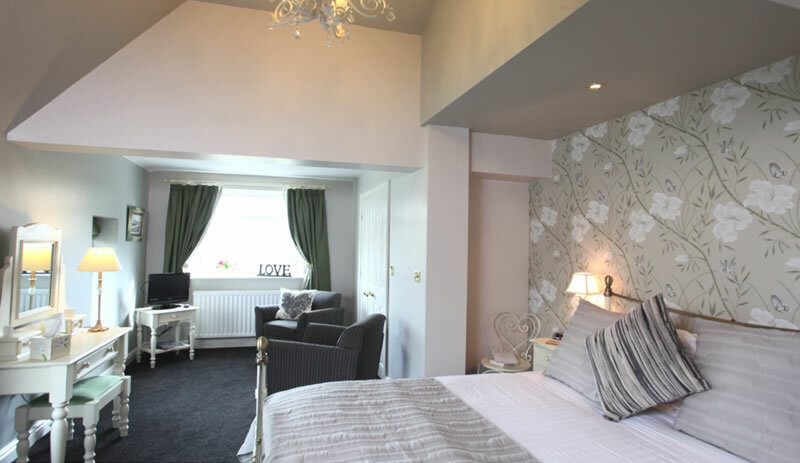 To find out about each of our rooms please click here. PAYMENT – We do accept major Credit & Debit cards ( NOT Am Ex or Diners). Should you wish to pay by cheque we ask that you pay the entire balance at least two weeks in advance including a £10 handling & admin charge.